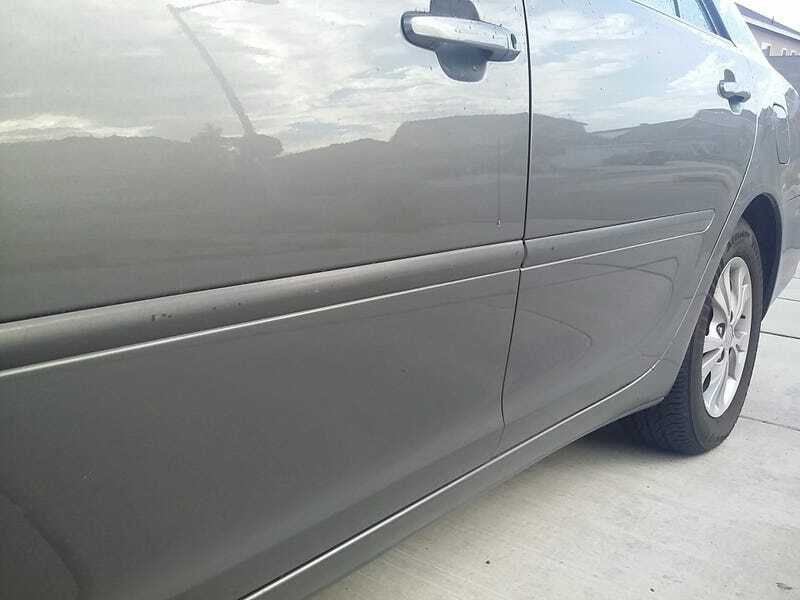 Checking in on my mom’s 2004 Camry SE V6 (yes, the one with the wing), I noticed that after 13 years and 240,000 miles she only has door dings on the gaurd panels. I’m astounded because my 2006 Amanti has dings everywhere EXCEPT the chrome guard panels. Amazing! Alright, off to work we go. I have a preselected interview/meeting in a couple hours to be part of the company’s Special Projects Group. I’m going to request MSO Orion Purple name badges or no deal!